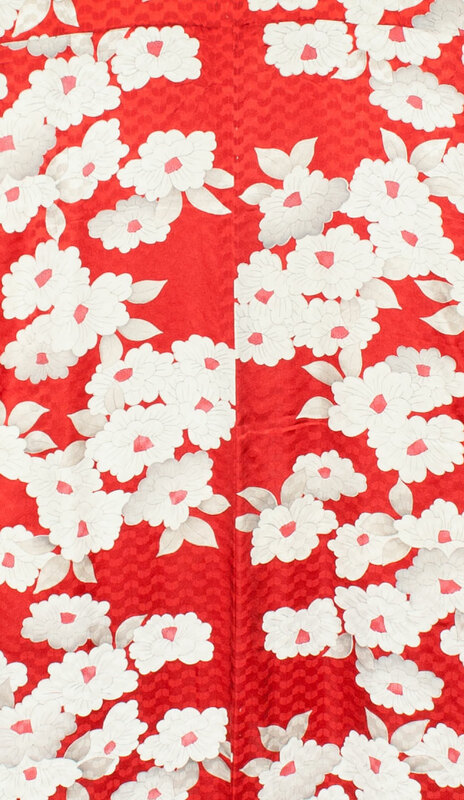 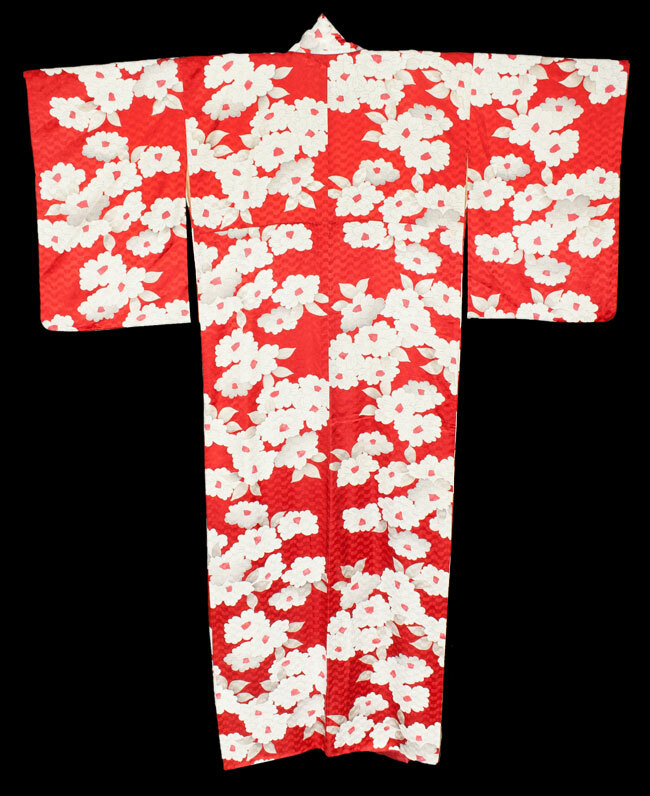 Kimoyes item: 22044 - Stunning smooth silk kimono in red with dyed white flowers. 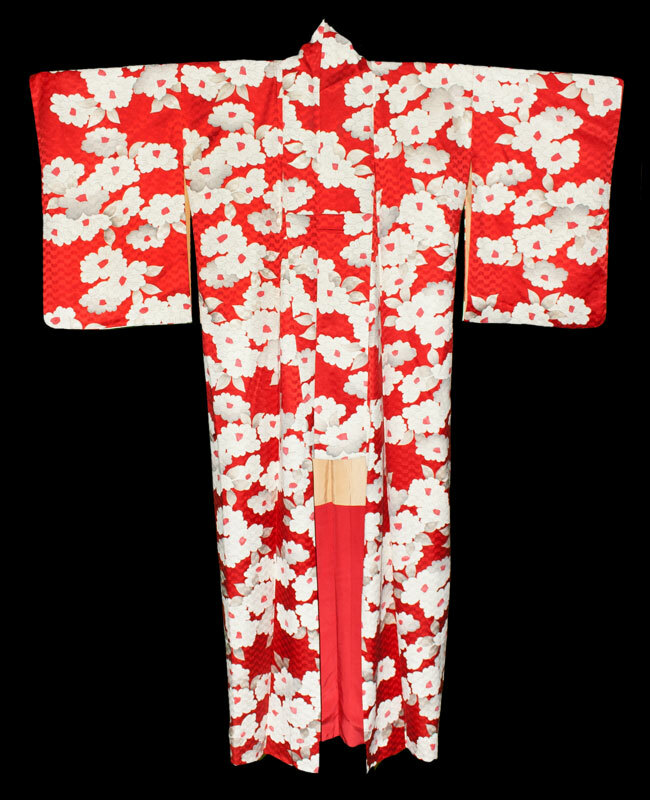 Stunning smooth silk kimono in red with dyed white flowers.It is lined with cream silk. 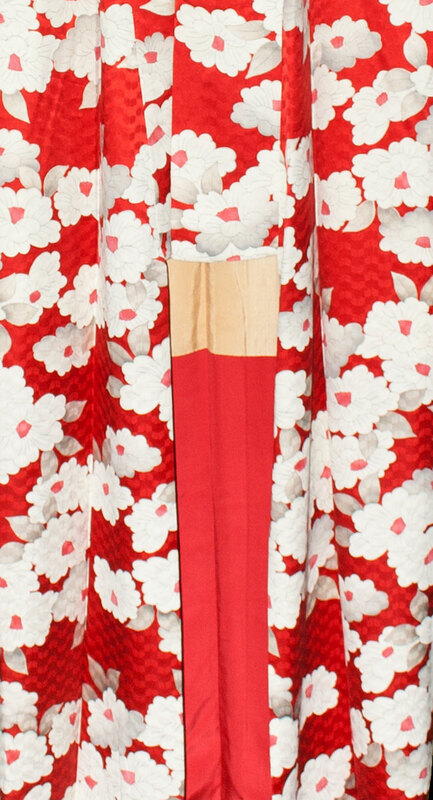 It is 60 inches long and measure 52 inches from sleeve cuff to cuff.